T-shirts There are 7 products. Look sharp while supporting your Arizona Diamondbacks! 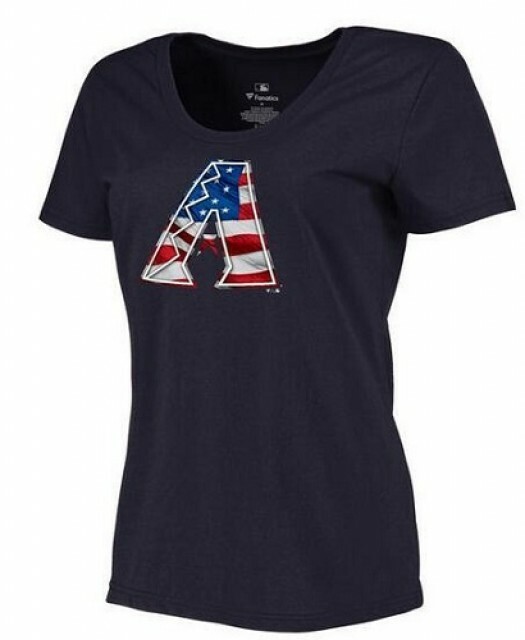 This Women's Fanatics Arizona Diamondbacks Player Gold Apparel Collection V-Neck Tri-Blend T-Shirt - Black is sure to compliment any of your other impressive Arizona Diamondbacks gear! Look sharp while supporting your Arizona Diamondbacks! This Women's Arizona Diamondbacks Player Gold Collection Long Sleeve V-Neck Tri-Blend T-Shirt - Black is sure to compliment any of your other impressive Arizona Diamondbacks gear! Look sharp while supporting your Arizona Diamondbacks! 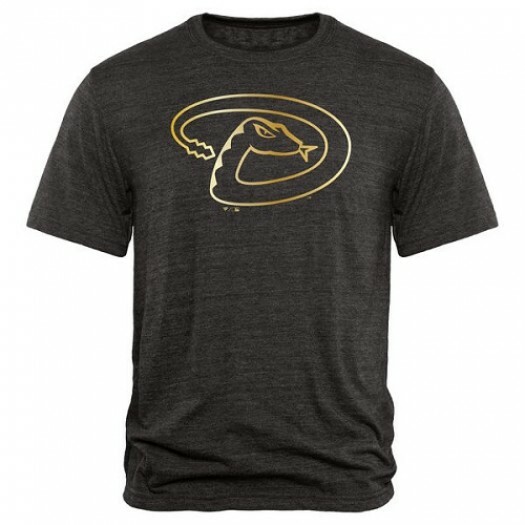 This Men's Fanatics Arizona Diamondbacks Player Gold Apparel Collection Tri-Blend T-Shirt - Black is sure to compliment any of your other impressive Arizona Diamondbacks gear! Look sharp while supporting your Arizona Diamondbacks! 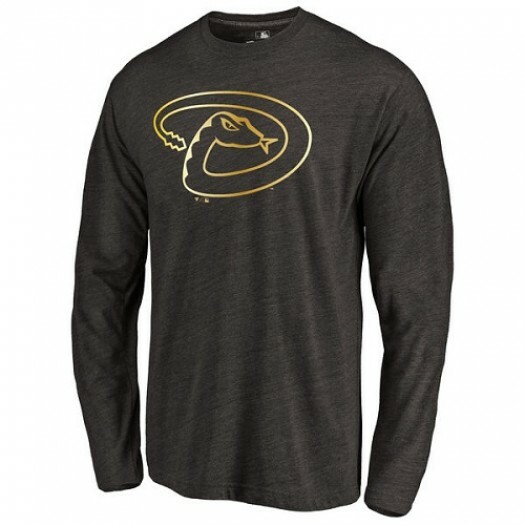 This Men's Arizona Diamondbacks Player Gold Collection Long Sleeve Tri-Blend T-Shirt - Black is sure to compliment any of your other impressive Arizona Diamondbacks gear! Look sharp while supporting your Arizona Diamondbacks! 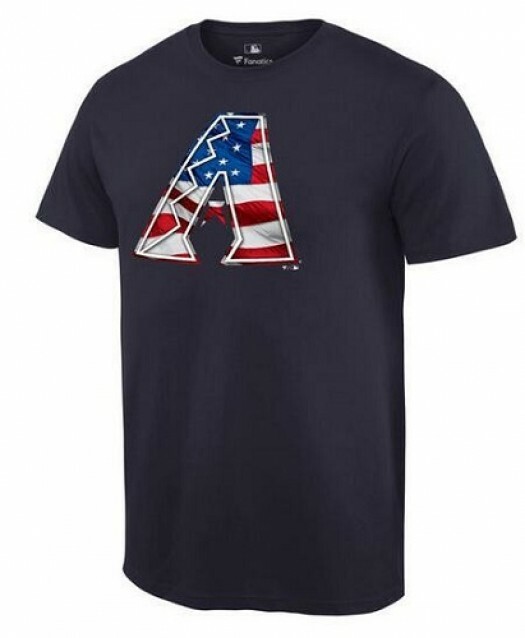 This Men's Arizona Diamondbacks Player Navy Banner Wave T-Shirt is sure to compliment any of your other impressive Arizona Diamondbacks gear! Look sharp while supporting your Arizona Diamondbacks! 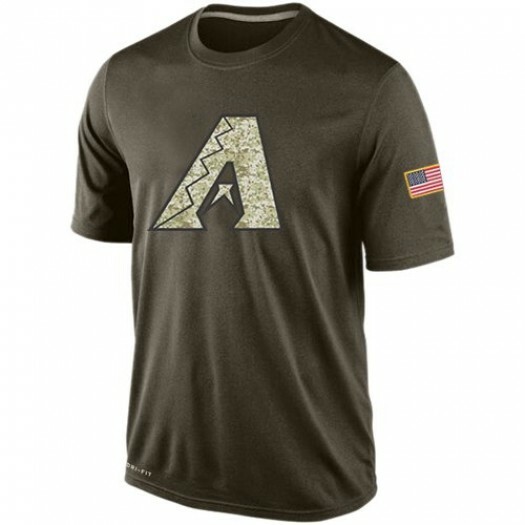 This Men's Nike Arizona Diamondbacks Player Olive Dri-Fit Salute To Service KO Performance T-Shirt is sure to compliment any of your other impressive Arizona Diamondbacks gear! Look sharp while supporting your Arizona Diamondbacks! This Women's Arizona Diamondbacks Player Navy Banner Wave Slim Fit T-Shirt is sure to compliment any of your other impressive Arizona Diamondbacks gear!